The 3 Essential Search Engine Marketing Steps For Small Businesses. Posted on 25th November 2011 at 14:39. It might be ‘Black Friday’ but, if you own or run a small business, then promotional offers like these can seem like they belong in another world to yours. Let’s face it, this type of practice is something done by the big players, not the small enterprises or start ups. These new businesses are more concerned with getting a foot on the ladder and building a reputation. The same applies to search engine marketing. Many SMEs believe this type of practice is the preserve of the big boys, with big aspirations and even bigger budgets. 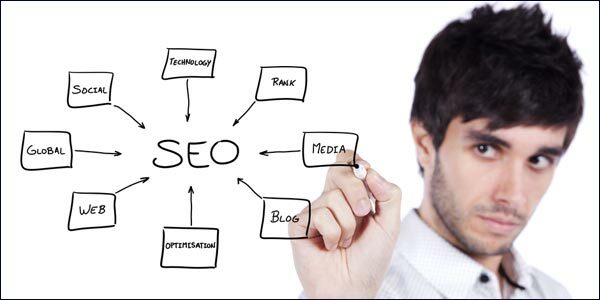 What possible use can SEO be for start up businesses? Well, the answer is it’s a fundamental requirement: it’s what drives business popularity and gets you noticed. You might be producing the greatest product known to mankind, but if no-one knows your business exists, then it’s futile. Obviously, if you’re only just starting out, then you probably won’t have the budget to blow on an SEO consultant. Yet that isn’t a reason not to do something about it. There are many things you can do to your website to increase your exposure, but for simplicity’s sake it’s best to stick to 3 basic practices: keyword research, page titles and Meta descriptions and blogging. Page titles and Meta descriptions. Every small business should make sure that every page on their website is unique and deals with one subject only. By not duplicating content you make it easier for the searcher to find the information they want, and you make it easier for the search engines to index your pages. It’s better to stick with a home page, about us page and services pages and keep the content of each separate. Obviously you can have as many pages as you want, but the same rules apply. You’ll also need to write a page title and Meta Description for each page. You should write a unique page title and Meta Description for every page on your website which includes a summary of the content as well as a keyword or two from your research. The final step you’ll need to take is to start writing short articles, using your chosen keywords, and sharing them with customers, friends and colleagues- in fact with anyone who might find the content useful. The important thing is that this content will have to be unique and it definitely has to be relevant to your particular business. You might love football, but if your business is all about selling flowers online, then it’s better to stick to writing about floral arrangements and steer clear of opinions on attacking formations and four-four-two. If you’re struggling for ideas, start with simple subjects like how using your products can improves the quality of people’s lives, or tell the customers a little about your business: what it does and what each member of staff does with his or her day. Google+ Brand Pages, Better Than The Facebook Equivalent Or Just A Poor Imitation?You Are What You Tweet: Why Businesses Should Think Twice Before Tweeting.